In order to create a pricing package on your site, you must first purchase and installed the Listing Payments plugin along with the free WooCommerce plugin. To create a "package" for users to purchase in order to post a listing simply visit " Products ▸ Add New" in your WordPress menu. 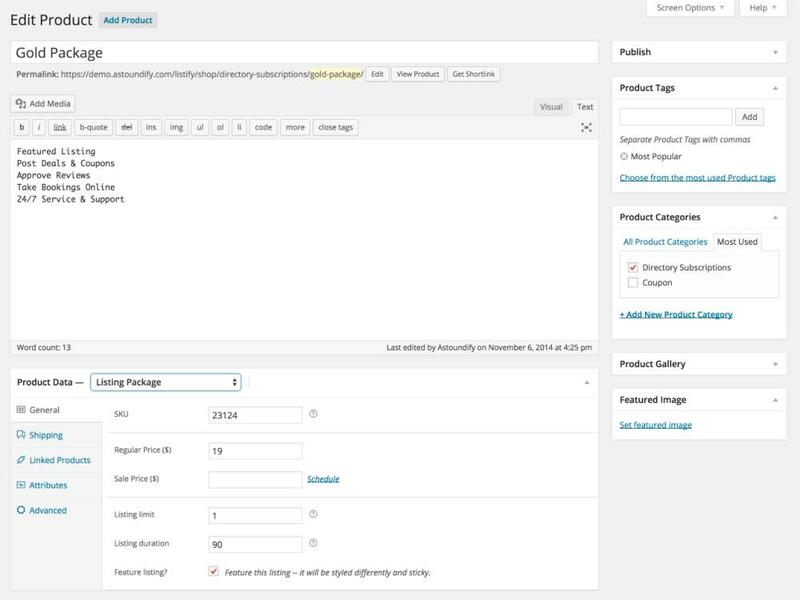 Next, set the product type to "Listing Package"